All the info you need to prepare for this exciting day!! respect and etiquette for Communion, dress code, First Communion pictures, reception, and upcoming schedule. If you have any questions, please feel free to contact me. -during the Consecration, children should be kneeling and attentive. -while in line to approach the Altar, hands should be folded respectfully. -prior to receiving, they should kneel or bow and say, “Amen”; meaning, “I believe”. -when returning to their seat, hands should remain folded with respectful consumption of the Host. -upon returning to the pew, they should remain kneeling until the Host is placed in the Tabernacle. 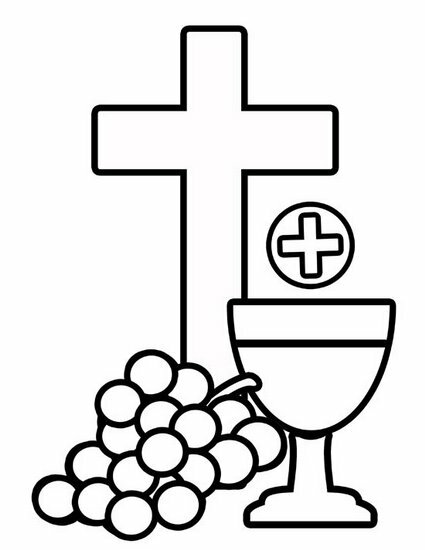 It is our responsibility as parents and teachers to instruct our children on the proper way to receive Holy Communion. Please continue to re-enforce this respect even after their First Communion Day. black, brown, navy, or white. Tie and dress shoes are required. hose. First Communion veils are encouraged. Professional pictures will be done by Dee Brasfield Photography. A package will be offered, so please bring cash or check. Please arrive dressed and ready by 9am. 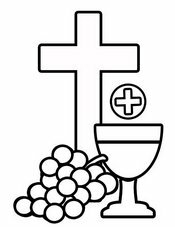 A First Communion Reception will be held in the St. Joseph Hall following Mass. Each child will have their own table to accommodate their family. The reception is nicely done, and provides a wonderful opportunity to make the children feel special. First Communion gifts are encouraged. NOTE: In between these very important dates, we also have very important lessons. Please try to attend all classes, unless sick. Reading parts will be handed out ASAP. Please practice these parts with your child. -Alpha Church Supply-West Oxmoor Rd. Special thanks to all parents and families for your great support.